Small businesses can take advantage of the usefulness and popularity of Google Maps. Here are ways for SMEs to bolster exposure and sales through the use of the free service. Online maps don’t just show people where they are and where they want to go. For many businesses—not just in the tech industry—the use of geoservices helps bring down costs by creating efficient delivery routes, providing free avenues to connect with customers online and, for some, serving as their primary business model. Charlie Hale, public policy and government relations specialist at Google Maps, explains how mapping helps businesses. The geoservices industry covers everything from electronic maps, satellite imagery, location-based search, satellite navigation, and satellite receivers and manufacturing. To present a clearer picture of the importance of the geoservices industry, Google commissioned a global study from Oxera [Consulting Ltd., an economics consultancy]. What it found is that maps make a big economic splash around the world. Globally, the geoservices industry is valued at about $150 billion-$270 billion per year and pays out $90 billion in wages. Geoservices facilitate competition, leading to savings from reduced prices among infrequently bought goods and services. For example, because of geoservices, we save 3.5 billion liters of gasoline per year, because the map technology creates efficient delivery routes. Geoservices also aid faster emergency response. In England, for example, geoservices helped to save at least 152 lives per year. What are some concrete ways companies have been using geoservices? 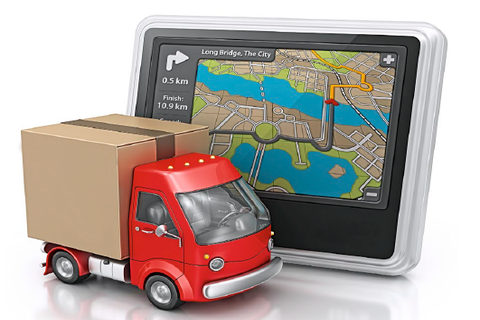 United Parcel Service, an American global package delivery company that uses map technology to optimize delivery routes, was able to save 5.3 million miles and more than 650,000 gallons of fuel in 2011. In London, a user hails a taxi every eight seconds using the app Hailo, which uses maps and GPS to deliver over one million journeys last year. In the U.S., Zipcar, a car-sharing company, uses maps to connect more than 760,000 customers to a growing fleet of cars in locations around the world. Because maps are such an integral part of how we live and do business, the list of examples goes on and on. That’s why it’s important for all of us to invest in the geoservices industry to ensure it continues as an economic driver in our global economy. Investments can come in many forms, whether it’s product innovation, support of open data policies, and push for more geography education programs in schools. That’s all well and good for big companies with a budget, but what about small businesses that can’t afford it yet? For small businesses, using geoservices can begin as small as putting your business on the map—Google Maps. By identifying and “pinning” your business on Google Maps using Places for Business [google.com/business/placesforbusiness], you can easily be found online and you’re able to get closer to your customers. In fact, 97% of consumers search for local businesses online using their mobile devices. And when they’re looking for a business listing, you need to be there with all the necessary information about your business. They can also leave feedback, which is always useful to a business owner. It’s an easy way to connect to your customers and it’s free. Premium paid features just make it even better. Best of all, you’re found across Google.